Discover Abundant Opportunities to live with Purpose in Community! “We’ve never been on this road,” say Rich and Anne Treadwell of their approach to adventures both near and far. The Treadwells traded a high-maintenance rancher in Maine for a no-maintenance cottage at Garden Spot Village in October 2014. Their cottage allows them freedom to spend their time traveling to visit family and vacationing. 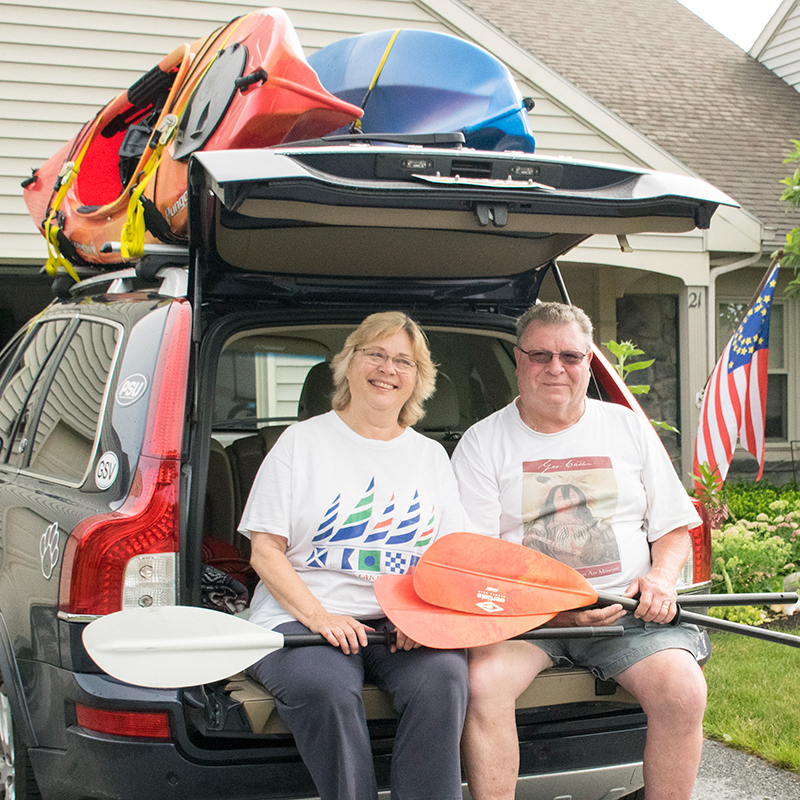 Kayaking during annual treks to Maine provides inspiration as they experience nature up close and personal. “The longer we are here, the more friends we make,” says Lynne Kokotiuk. John concurs, adding that their bichon-poodle puppy Ollie helps them make new friends. 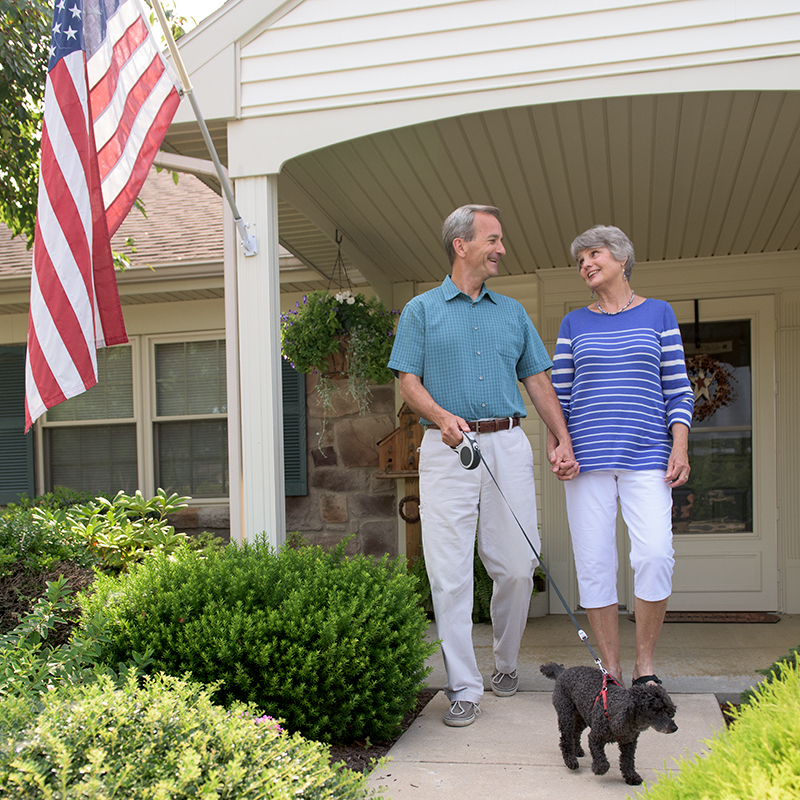 John says, “With a dog, you always stop and visit with neighbors. You don’t just keep walking.” In addition to new friends, life at Garden Spot Village continuously brings new opportunities. John and Lynne both enjoy volunteering for special events on campus and Lynne, a painter, participates in the Art Guild. John also volunteers as a sound tech, with woodshop projects, Caring Connections and Cross Jr., a CrossNet Ministries after school program for elementary students. 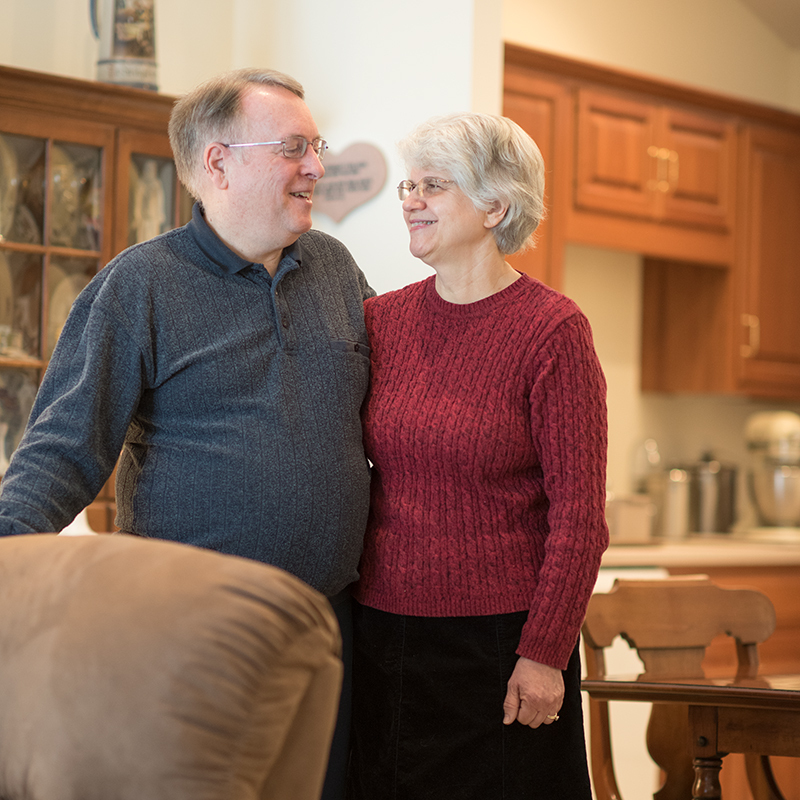 “Moving to Garden Spot Village was the first time in our lives we were able to choose our community,” says Bob Coleman. 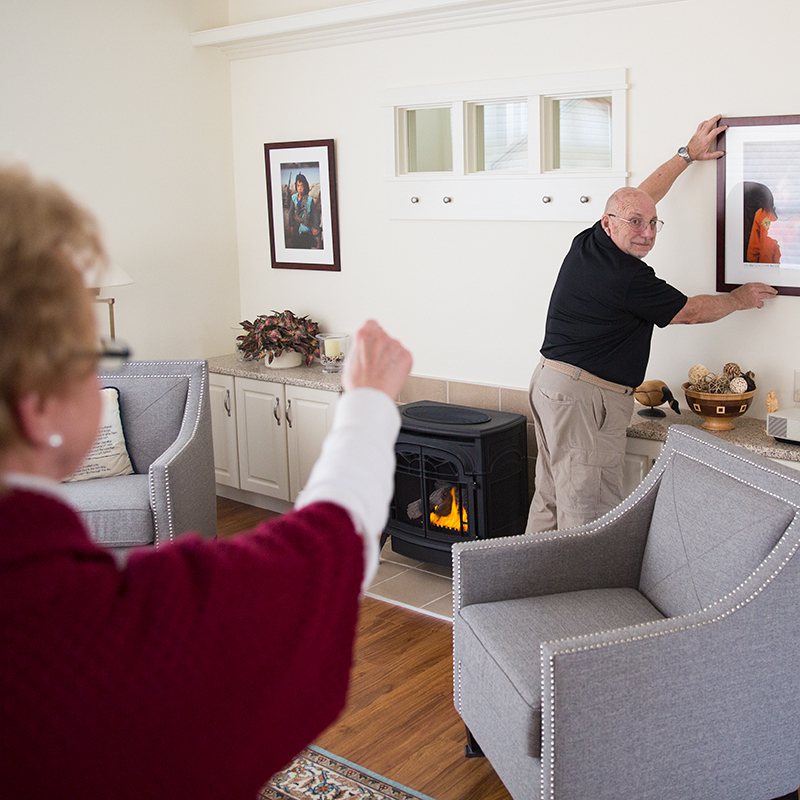 After regular weekend and even weeklong visits, Bob and Joanne Coleman, most recently from the Hudson River Valley in New York, decided Garden Spot Village would be their new community. 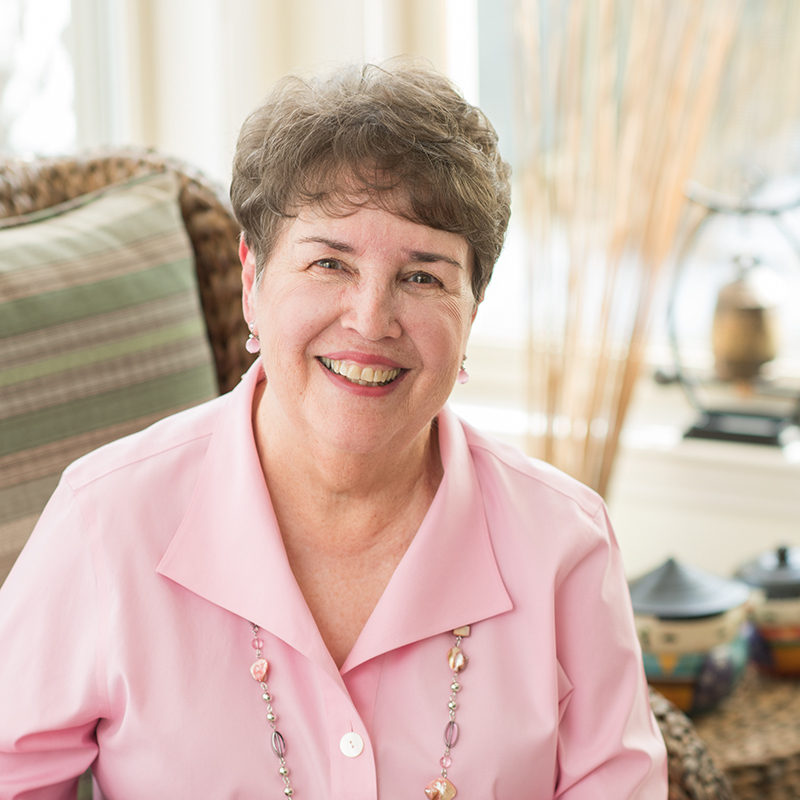 Of the decision-making process, Joanne says, “[The community] wants you to feel that you fit, that you are cared for and that you have opportunities to be active if you want to be.” Bob and Joanne immediately connected with their neighbors and the larger community, volunteering in various capacities throughout campus life. In doing so, they found their home and try to make those around them feel at home too. “Moving to Sycamore Springs gave us a new group of friends,” say Art and Tina Petrosemolo, originally from Shrewsbury, New Jersey. Tina immediately connected with the Garden Spot Village community through regular trips to the gym. There she made friends who introduced her to the Book Club, the Art Guild, the New Holland Women’s Club and more. She says a few friends at the start “turned into a network.” Art connects with the broader community through his passion for freelance writing and photography, offering a new lens for local newspapers to see their communities.